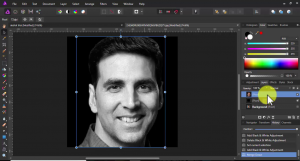 First open image in Affinity.Select Flood selection tool(w) and select object.Use Refine edge option and make cutout ready.Then crop image in square and apply black and white adjustment.Your photo is ready to use. 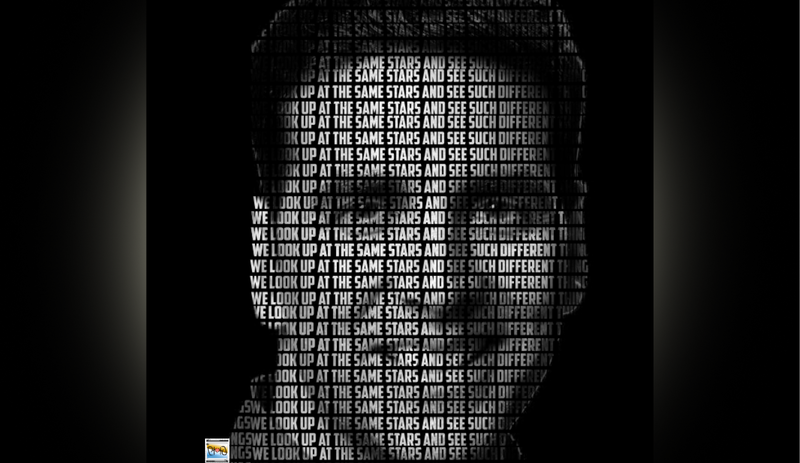 Select font American Captain and stroke white.You can use any word quotes.Type the sentence,Fill this on entire text layer.Group all text layers. 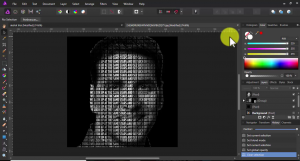 Select text layer and arrange it backward.With ctrl ,click on Akshay’s thumbnail and apply mask on text layer. 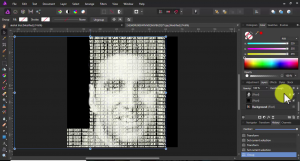 Set opacity of Akshay’s photo to multiply. 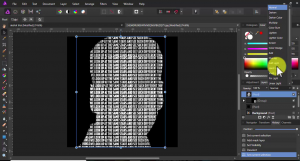 That’s it.Your text portrait is ready.